My Blade 130x helicopter its gears are worn out, which causes the rear rotor gears to slip in full flight… Scary stuff! 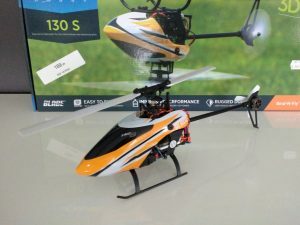 While waiting the delivery of full metal gears, I got myself the new Blade 130S helicopter. Just did a test flight. Wow! Flies very well and stable for such a small thing. Definitely feels like an upgrade of the discontinued Blade 130x.